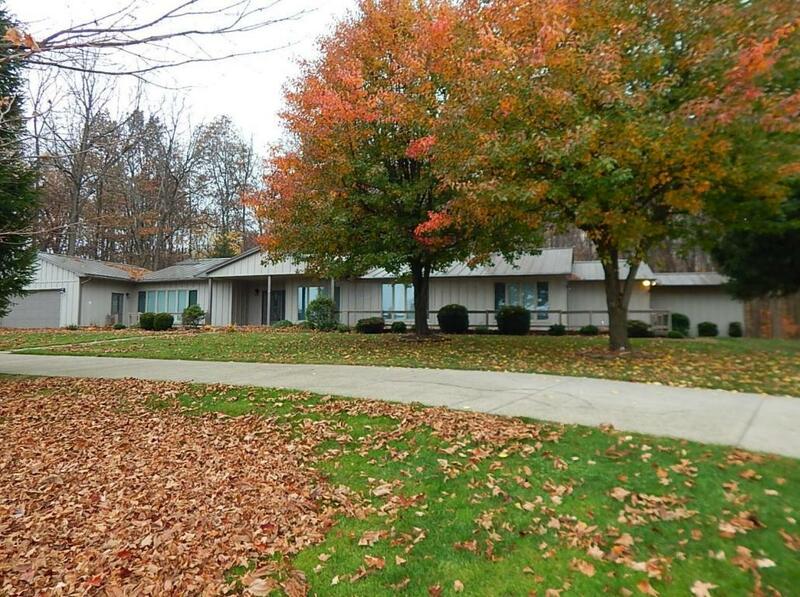 COME TO THE COUNTRY..SPRAWLING RANCH STYLE HOME ON A PARK-LIKE SETTING. TAKE A LOOK AT THE PICTURES..THEY TELL THE STORY OF THIS FABULOUS HOME. SERVED BY DEL-CO WATER. EFFICIENT GEO-THERMAL HEAT. INVITE FAMILY & FRIENDS TO SHARE OVER 11 ACRES OF MANICURED PROPERTY THAT FEATURES 3/4 ACRE POND WITH GAZEBO, DECK,FLOATING DECK & ITS OWN BEACH! TAKE A HIKE IN YOUR OWN WOODS WHERE YOU CAN WITNESS NATURE AT ITS BEST. WHY GO CAMPING WHEN YOU CAN DO IT ON YOUR OWN PROPERTY. PLENTY OF BUILDINGS AND STORAGE SPACE TO MAINTAIN YOUR COLLECTIBLES, HOBBIES & EQUIPMENT. COME SEE FOR YOURSELF. EASY TO SHOW AND IMMEDIATE POSSESSION. School District: Highland Lsd 5902 Mor Co.